Is Japan Really Entering a New Era? The idea that Japanese years are defined by the life of an emperor sits uneasily with the democratic traditions of modern Japan. 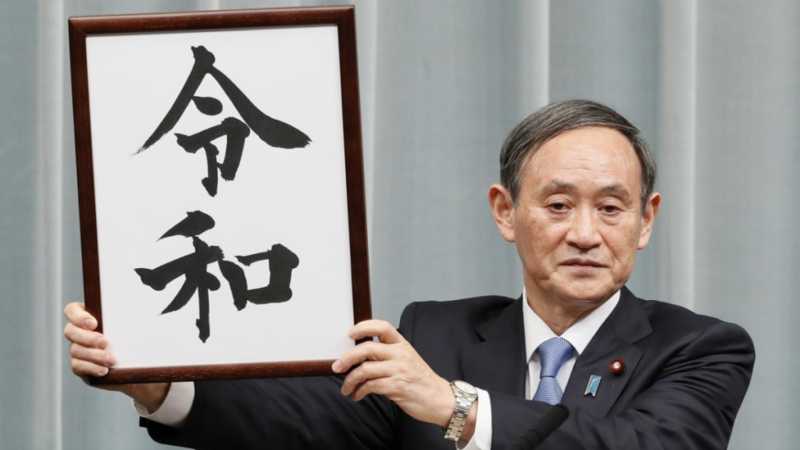 The Japanese government has announced the name of the coming regnal (gengo in Japanese) year when the present emperor Akihito retires at the end of April and his son Naruhito becomes the emperor. A momentous change, but the more it changes the more it is the same. 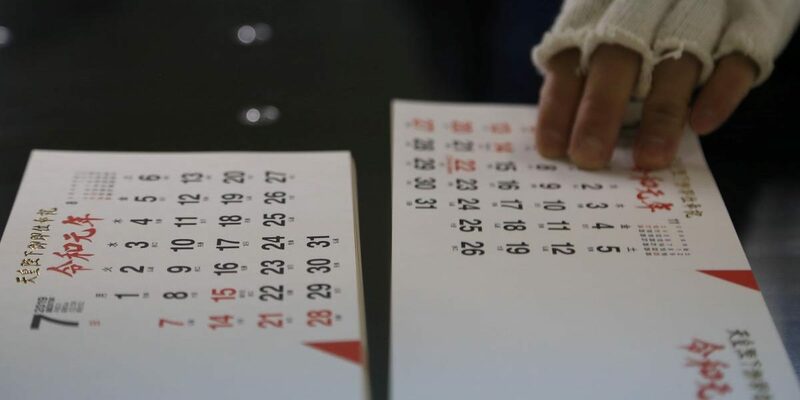 Is it time to end a calendar based on the reign of an emperor? In 1868, when the emperor was brought out from obscurity, and genteel poverty, and taken from Kyoto, the imperial capital, and installed in Tokyo (the Eastern capital), he was transformed into a modern monarch. Very consciously, the new government studied the practice of European courts and re-styled the emperor in military uniforms and drafted legislation to govern the imperial house. He even grew a beard to look more like Western monarchs. Earlier, the ruling emperor’s name was used to mark their reign, but names were often changed, for reasons such as to avert ill fortune. The Meiji government decreed one name would be used through the reign period. The name used is what the emperor would be known by when he dies. This is a Buddhist practice, where dead are given a name for their afterlife. This practice provides good income for the temple priests as auspicious names cost more, and people are willing to pay for them. The Meiji emperor was Mutsuhito, Hirohito was the Showa emperor and the present, Akihito is the Heisei emperor. Japanese emperor’s have no surname, and, now the regnal year Heisei, meaning peace everywhere’ will be changed to Reiwa. The characters have been taken from the Manyoshu, the ‘Collection of Myriad Leaves’, a collection of poetry compiled in the eight century and generally regarded as quintessentially Japanese. Usually, imperial era names are taken from Chinese classical texts, as was Heisei, so using the Manyoshu is a statement emphasising Japaneseness. The history is a bit more complicated. In fact, the Manyoshu is full of Taoist, Buddhist and other Chinese ideas. The collection of poetry has been revered because it is marked by a freshness rarely found in much poetry written in Chinese, the language of culture and learning during that time. Even more interestingly, the poets anthologised in the collection are not just from the elites, the imperial family and nobility, but often have ‘common’ origins’. Kakinomoto no Hitomaro, one of the anthologised poets, of whom little is known, is still regarded as among the greatest of Japanese poets. His poetry, even while memorialising public events, draws the reader because he is not a distant observer but fully involved in the subject – whether its memorialising the death of a prince, or recording his parting from his wife, or the shock of seeing a corpse. He draws the reader with his sympathetic concern. Hitomaro was also an adept user of ‘makura kotoba’ (translated as pillow talk – it is a set phrase that becomes the ‘pillow’ for the noun or verb). Some of the ‘makura kotoba’ have become everyday words. The word for ‘chicken’ in classical Japanese was ‘kake’ but the ‘makura kotoba’ used in poetry was the phrase ‘niwa tsu tori’ (bird in the garden). The classical possessive ‘tsu’ disappeared and ‘niwatori’ became chicken in modern Japanese. So the Manyoshu is something the average Japanese would have a nodding acquaintance with from his school lessons, and the poetry forms, the waka and the tanka, found in the Manyoshu, are still vibrant living forms. But the idea that Japanese years are defined by the life of an emperor sits uneasily with the democratic traditions of modern Japan. The emperor is no longer a god, as he was before WWII and his distance from the people has been gradually reduced. The emperor and his family are still isolated from daily life and bound by stifling protocol. There was a time in the classical period when regents exercised power by keeping children on the throne and retiring them when they were coming of age. These retired emperors became power centres. A a striking example of the severe rituals that constrained the emperor’s daily life is a story of one of the first acts of a ‘retired emperor’: to ask for a bowl of ramen. He was obviously sick of the ritual food he was expected to eat. The present emperor has certainly pressed the boundaries of his role. 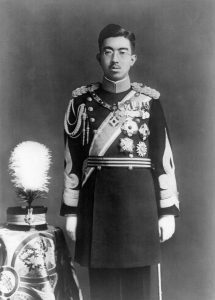 Hirohito, his father was a controversial figure who presided over a period marked by colonial expansion, war and defeat, and then the postwar economic recovery, two very different periods. After the war, the people heard his voice for the first time in a radio broadcast announcing surrender. It was an accent and a language hard to follow for most but he not only announced Japan’s surrender but renounced his divinity, though in very guarded words. Many were critical because he never owned responsibility for leading the country to war. The emperor was a symbolic head of state with no real powers but his words carried enormous weight and he could have made a difference. Akihito was brought up in a very different atmosphere and his marriage to a ‘commoner’, with whom he played tennis, won him the image of a ‘people’s emperor’. Moreover, his wife was a Roman Catholic and rumour had it that his mother was opposed to the marriage. In many ways he more than fulfilled the popular image. He has always expressed himself in a way that is free of strident nationalism and shows a sensitiveness to neighbours that has resonated with the ordinary people. Even as the government has taken more nationalist positions. Shortly after his father’s death in April 1989, he expressed remorse to the Chinese for what the Japanese had done during the war. On a visit to Saipan in 2005, the site of a major battle in WWII, he prayed not only for the Japanese dead but also the US, Korean labourers and island people who died there. This won him enormous support among the people in Japan. 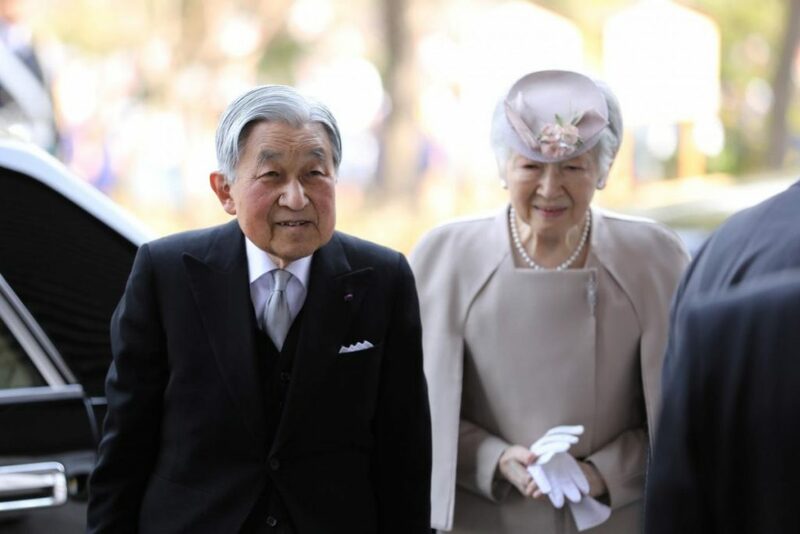 In 2001, Akihito said, to the delight of the Koreans and the disgust of the Japanese nationalists, that he was proud of the kinship he shared with the Koreans, because one of his ancestors was from Korea. He also acknowledged that many influences that shaped music and art in Japan came from the Korean peninsula. This was anathema to the strident nationalists who see the imperial line as direct descendants of the Sun goddess and look down upon Korea. The statement was largely ignored by the Japanese press. It should be noted that such statements made in the pre-war period would have led to jail sentences, books were banned for suggesting such familial links between the imperial family and the Koreans. The Heisei period, which began in 1989 with the death of the Showa emperor, has seen a number of major crisis and managed to overcome them. The 1990’s were the ‘lost decade’ as the economic bubble burst and scandals engulfed the ruling Liberal-Democratic Party, leading to coalition governments. In global politics, Japan played a big financial role in the Gulf War, and in the postwar reconstruction of Iraq. Since 2010, it has been embroiled in disputes with China over the Senkaku islands. Restoring good relations with China is high on the agenda. Internally, Japan has faced the problems posed by earthquakes, notably the 2011 magnitude 9.00 earthquake that led to a tsunami with 10 metres waves and destroyed the Fukushima nuclear reactor and posed a massive threat to the country. The emperor made a moving address to the nation then. The sarin gas attack in the Tokyo subway system in 1994 was another major incident that raised the question of why and how this homegrown religious terrorism took root. Japanese society is facing challenges in many areas, but the one of the fundamental questions is how Japan will think about immigration. Will it continue restrictive policies based on the idea of a unique culture and a homogeneous population or will it open its borders and mind to integrating outside influences as constitutive elements of its culture? Immigration is still not high by global standards but increasing numbers from South Korea, China, Southeast Asia, Latin America has raised debates with some calling for a more open Japan while others fear the loss of identity and culture. The new emperor will face many challenges. He has an example to follow. The present emperor, Akihito, has set the bar high. Brij Tankha retired as professor of modern Japanese history from Delhi University and is an honorary fellow at the Institute of Chinese Studies, Delhi.